Malvern 100300mm Lens w/ Alignment Disk f/2600-C Droplet Particle Size Analyzer . New Life Scientific, Inc.
* Also included is extra lens caps for (2) 46mm and (1) 62mm lens. These are used on a Malvern 2600-C droplet particle size analyzer. They appear to be in great condition, I didn’t see any visible damage to the lens. 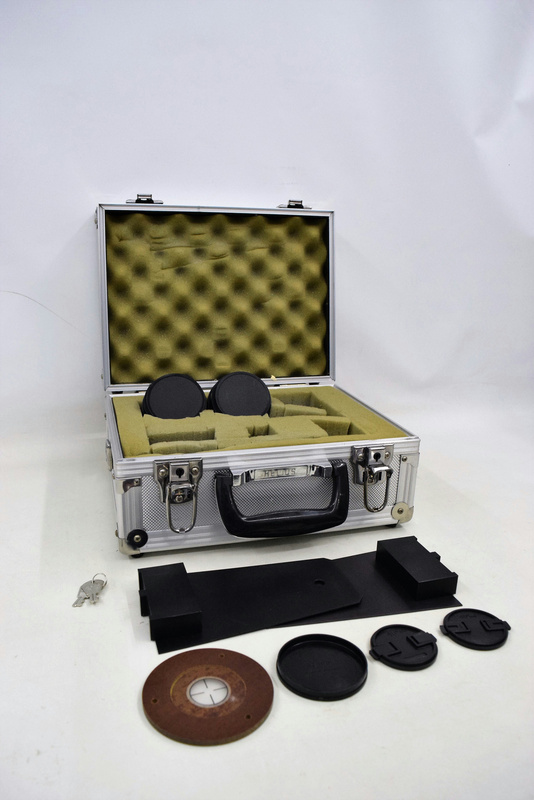 Comes with a foam insulated carrying case to protect the lens and easily stored until needed for future research.